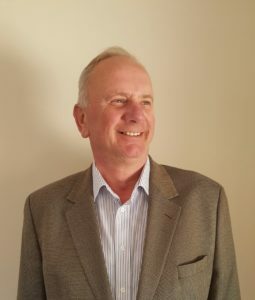 Peter R Bushell a practising specialist in, “Change Management” for more than thirty-five (35+) years believes by using International Standard’s (SHERQ) or parts thereof, is core for any organisation wishing to compete for “Tenders” or becoming a “Supplier” of choice or both. More importantly, it complies with legal requirements especially ISO 45001:2018-Cause 7.2 Competence where by an organisation must determine the competence requirements for those workers that affect, or could affect, its OH&S performance. This requirement also pertains to workers operating under the control of the organisation such as contractors, agency workers, etc. Once these competence requirements have been determined the organisation must then ensure that those workers posses the necessary competence, including the ability to identify hazards, on the basis of appropriate education, training or experience. It is imperative that all workers have the knowledge and skills required to identify hazards and manage the OH&S risks associated with their work and workplace. If workers are deemed not to be competent, the organisation is required to take action e.g. refresher/remedial training, recruitment of additional personnel or hiring/contracting of external expertise in order to acquire the necessary competence. Having to apply, maintain and reduce costs has always been a painful experience to many… that is, until now. An “Efficient” application for secured use. Speed to market and affordability are serious contenders when developing a series of products that assist organisations through their processes, in obtaining an International Standard. Delivering a version of ISO that is secured via a cloud base system . Making a version of ISO which is quickly and easily accessible when compiling a Management System with minimal effort when following Step-By-Step instructions and Working Examples of what to do. Assist organisations, drive their costs down by minimising wastes. Measured (ROI) performance, growth and profitability. Contact Peter to arrange for a 15 minute WhatsApp video presentation of our 3 Tiers Training platform.